For those that thought the Dolphins had a great shot to win their first game of the 2007 season. Think again. Sunday at home vs the two-win New York Jets, the Fins were as bad as ever, and now it truly appears that the once undefeated Fins may go winless. The Jets pounded the Dolphins, beating them in each and every phase of the game in a runaway 40-13 slaughter. The Dolphins were actually favored to win the game, but with rookie John Beck throwing three picks, it was over by halftime as the Jets led 20-13. 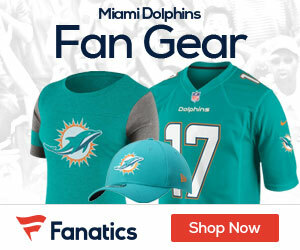 New York continued to hold the Fins in the third quarter, and as they added a field goal to go up 23-13, they then were able to pile it on in the fourth, as they scored 17 points and held the Dolphins scoreless to go on for the 27-point win. The offensive slump continued for Miami, as they were able to only generate 187 yards and 12 first downs. Beck went 23-for-39 for 177 yards with the three picks. The Jets should not brag all that much about their 3-9 record, as two of their wins have been against the Jets, the other against the Steelers two weeks ago at the Meadowlands. The win continues a big streak for the Jets over Miami, as the Jets have beaten the Dolphins for the fourth time in a row and the 16th time in the past 20 meetings. Miami will be in Western New York to take on the Bills.